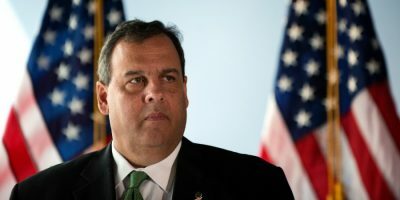 It appears that New Jersey, Delaware and Nevada will finally share online poker pools once NJ Governor Chris Christie signs the official deal. News recently broke that an agreement had been reached between Governor Christie, Nevada Governor Brian Sandoval and Delaware Governor John Carney regarding joining forces. This interstate compact marks a progressive step forward with US online poker gambling. When the United States Department of Justice issued a Formal Opinion in 2011 declaring that the Federal Wire Act only applies to online sports betting, it granted states the authority to legalize online casino and poker gambling. Out of all 50 states, only 3 jumped on the opportunity—Nevada, which makes sense because of Vegas online poker and brick-and-mortar poker options, Delaware and New Jersey. Ever since the 3 states authorized the online markets, talks of forming an interstate compact were bubbling beneath the surface. This agreement is good news for players, as the size and quality of these states’ poker offerings will increase and make for more attractive options. New Jersey’s online casinos have been performing well revenue-wise. They have hit consistent marks over their existence. However, the online poker sector has left something to be desired, falling short of the original projections. Analysts believe that this compact will help increase online poker revenue. It will also help attract new customers. Perhaps the most significant impact of these states joining forces is that it will provide a baseline for other states to examine when weighing the idea of legalizing online gambling. After all, the goal is to expand this interstate network to as many states as possible, thus creating a larger player pool and creating incentives for players, advertisers, gaming operators, etc. What does this compact specifically do for New Jersey? On top of expanding the player pool, it allows the state to increase the size of their progressive jackpots. All 3 states will share liquidity within the online poker network, leaving all parties involved satisfied. This was part of what took so long to get things going with this interstate network—states had to agree on a regulatory framework that supported equal profit sharing. The World Series of Poker, one of the largest online poker operators in the US, services both New Jersey and Nevada. The group issued a statement supporting the decision and is already taking steps to officially bring New Jersey into the existing Nevada-Delaware compact, per approval from the appropriate regulators. The timeline for this expanded player pool is still unclear. It could take months for all the logistics to be figured out. World Series of Poker stands to benefit greatly from this agreement, while other online poker sites like PokerStars could miss out on increased revenue streams. 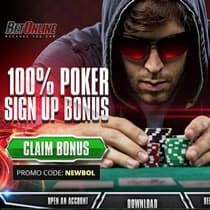 There are other online poker options in Bovada and BetOnline, both of which accept players from outside states. Expect more developments to come out of this. Once things get going, and pending a successful launch and follow-through, other states may soon authorize online poker. If this happens, the interstate network will likely grow, which is great news for online poker enthusiasts.